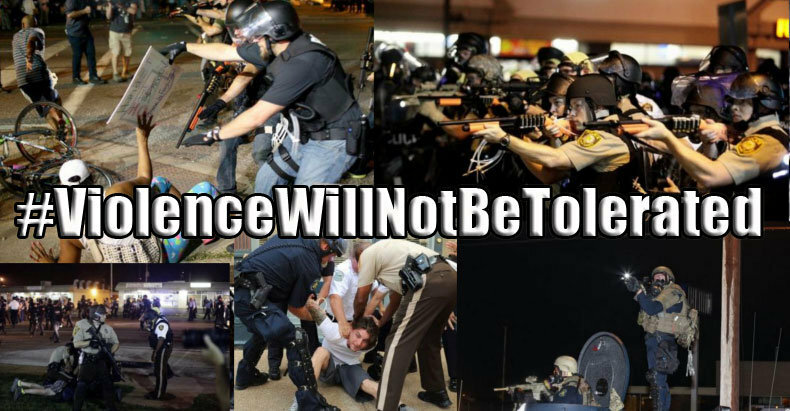 Ferguson, MO– As we await the Grand Jury announcement on whether or not Officer Darren Wilson will be indicted, with the decision expected sometime in the next couple of weeks, there has been endless speculation on how demonstrators will choose to protest- and even more so how the militarized police will respond. Emergency solidarity actions have been called nationwide, but naturally all eyes are locked on what some are calling the heart of the new civil rights movement, Ferguson, MO. Missouri Governor Jay Nixon announced in a press conference on Tuesday that for the past two months more than one thousand officers have received 5000 hours in training to learn how to violate demonstrators rights *ahem* “protect the constitutional rights of peaceful demonstrators”. “This is America. People have the right to express views and grievances, but they do not have the right to put fellow citizens and property at risk,” Nixon said, while explaining how the National Guard is part of his contingency plan to protect his officers. “Violence will not be tolerated.” he continued. In his press conference there was not one mention of Michael Brown, VonDerrit Myers, or Kajieme Powell. It seems to have had slipped his mind to address why so many brave men and women have been in those streets for over 90 days demanding change and putting themselves in harms way by confronting these violent officers. He also forgot to address the disgusting violation of the demonstrators constitutional rights that we have been witnessing for the past three months. Never fear though, Governor Nixon. Twitter didn’t forget, and plenty of people were willing to remind you. While twitter reacted with disgust and outrage over Governor Nixon’s statements, a very powerful series of 19 tweets by freelance journalist Julia Carrie Wong which simply read “violence will not be tolerated”, each with a photo of a life tragically lost caught many peoples attention. The powerful message quickly morphed into a hashtag- #ViolenceWillNotBeTolerated, and an impromptu twitter campaign ensued, reminding the Governor, and anyone who forgot- of the militarized police presence and violence that he signed off on when his storm troopers declared war on demonstrators. The Governor received 33,549 tweets on Tuesday- the hashtag was used 7,268 times by midnight.